The port has been awarded twice as the Best Marina in the World and holds since 1987, without interruption, the European Blue Flag for the quality of its services and its waters. It has 1,100 moorings for boats up to 35 meters long and 5 meters deep and thanks to its facilities and the privileged climate of the Costa del Sol it is one of the best places that you can choose to enjoy the sea. But to become what it is today it required the efforts of a group of dreamers who sought to convert Benalmadena in the city with the best harbour in the world. 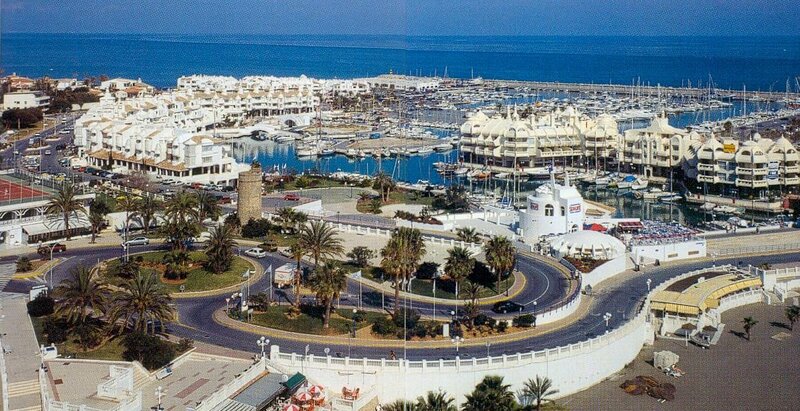 The story begins in the early ’60s when was born the idea of a project that would allow Benalmadena offering quality tourist attractions while enhancing the historical relationship of this town with the sea. Initially the idea of building this port was received with some incredulity at the innovative and great idea, and so far there were no references to similar ports in Spain. Today the Marina displays a unique ornamental architecture with a mix of Arab, Indian and Andalusian elements in shades of white contrasting against the blue sky and sea. It offers with a wide range of leisure activities ranging from shops, fashion, hairdressers, restaurants and a water park to sailing schools, diving school, nautical academies or boating, plus a luxury residential area. At the entrance of the port area is situated a watchtower from Moorish times. 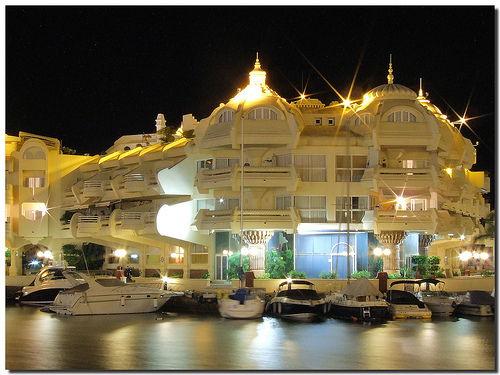 A visit of Puerto Marina in Benalmadena is well worth it; both during the day to enjoy the Mediterranean light and night to enjoy the vibrant nightlife at this attractive port.